A new tornado watch has been issued for the Mississippi River Valley. It is in effect until 5pm CST. Please note there is a "moderate" risk of strong tornadoes (EF-2+) and a "high" risk of wind gusts of 60 mph or higher. 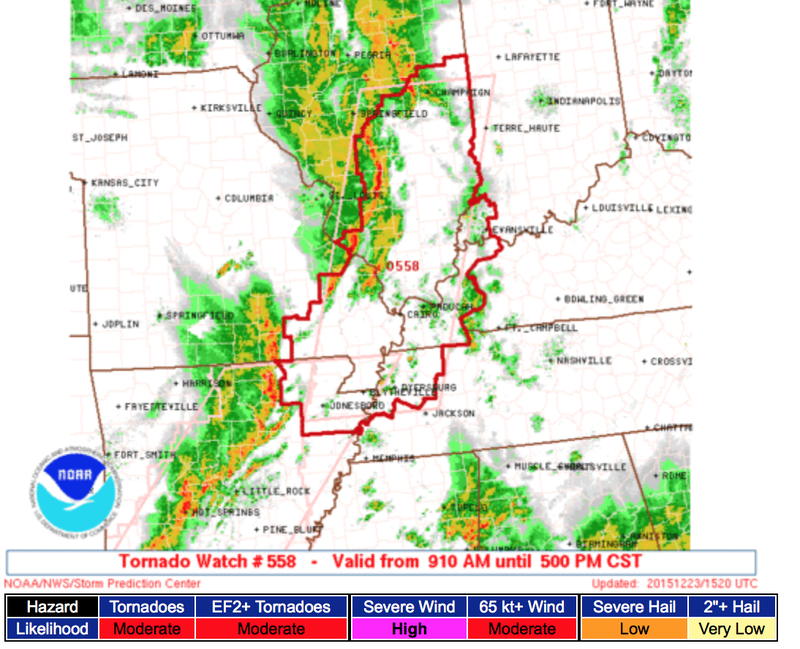 The earlier tornado watch (scroll down) is still in effect. 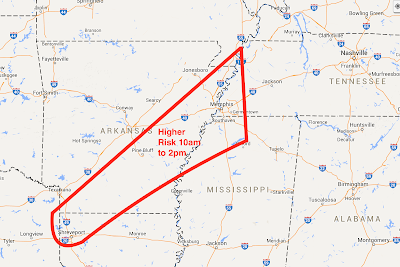 The area I am most concerned about from 10am to 2pm is outlined below. Please keep a close eye on the weather in this region. I am not live-blogging today's storms, I have too much of my AccuWeather work to do. I will update a couple of times between now and late afternoon. I will have an update on the winter storm late this afternoon or early this evening.